This weekend we unveiled our second in a series of ads featuring some of Sonoma County’s grape growing and farming families commitment to sustainability. This ad features the Sangiacomo family, who have been farming in Sonoma County since 1927. 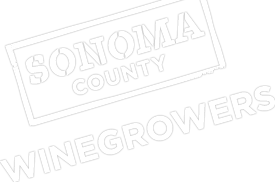 Make sure to look for the ad in your local newspaper, such as Press Democrat, Sonoma Index-Tribune, Sonoma West Times & News, Windsor Times, Healdsburg Tribune, Petaluma Argus Courier, Northbay Bohemian, and North Bay Business Journal.